When most material melts, it expands. However, when extreme pressure is involved, the molten material becomes denser than the same material in solid state. This is called the “crossover density”. 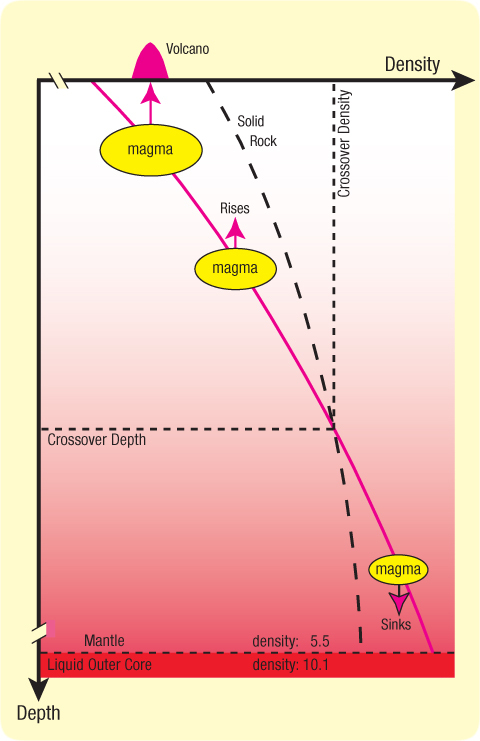 Since pressure increases inside the earth with depth, the earth also has a “crossover depth“. Research shows that this crossover depth occurs at about 200 km depth for basalt and above 400 km depth for most other rock types. This crossover depth is making geophysics much more complex than just a simple convection current.